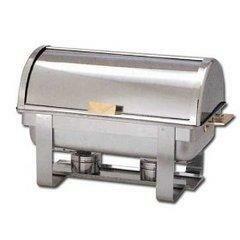 Very elegant and nice stainless steel chafing dish!! Made to keep and food nice and hot for your guests! !